As much as I enjoy reading and writing, I can’t deny I also enjoy a nice video game from time to time. Now I am by no means a gamer, as I haven’t purchased a gaming console in multiple years and the last one I bought was based more on the Blu-Ray function than the video game capabilities. (Yeah, I know.) I have a long, complicated history with video games, but as a parent to young children, my gaming days are pretty much behind me now. So I tend to run through the mobile app store every once in a while and see if there’s anything that catches my eye. I can’t really devote chunks of time to get into games that have story lines and characters, which usually leaves me with racing games, card games, puzzle games, random shooting games, etc. As fun as those can be in small doses, they certainly don’t engage the prefrontal cortex. 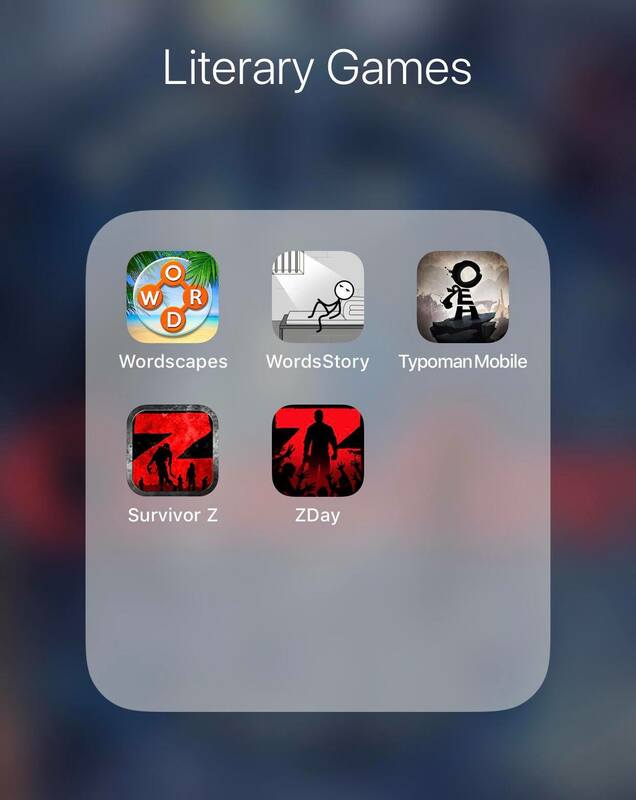 So, in order to make myself not feel like I’m wasting brain cells on mindless games, I’ve put together a Top 5 list of literary-themed mobile games that provide a great justification for playing them – they’re smart, engaging, and thought-provoking. Sounds good, right? Then let’s get to it! Recently, I had the opportunity to record an excerpt from Crossroads for a new podcast called Authors Read, where you guessed it, authors read excerpts from their works. I think it’s a really cool concept, and I was excited to be selected to be featured. I’ve always toiled with the idea of trying to record an audio book version of Crossroads in my own voice, since the narrative of the story is essentially told through my point of view and with my own personal speech patterns and quirks. Luckily, I have a friend who has his own podcast (One Hour Wasted), and has a nice setup for recording. Even better still, he was willing to assist me with recording my reading. I read two chapters, and it took three hours of recording/editing before my thirteen minute segment was completed. The recording quality was top-notch. My performance on the other hand…yikes. Overall it was a great learning experience, and the episode was just released! You can follow the link here to find the podcast and here for the website. I’m hoping to follow-up with a reading from Crossfire once it’s released, so stay tuned for part 2! So it turns out book trailers are a thing. Now I’m not talking about a trailer full of books. No, that would be a bookmobile. Stay with me here – it’s a movie trailer but for a book. I know, it seems so simple now, doesn’t it? It also seems kind of silly to create video footage and visuals for an otherwise non-visual medium. Books are meant to engage your imagination and put your mind’s eye to work, right? Well there lies the challenge. Okay, so I may have jumped the gun just a little. I have been working diligently on my first short-story for at least the past month, and I’ve had the idea bouncing around in my head, gaining momentum, for far longer than that. 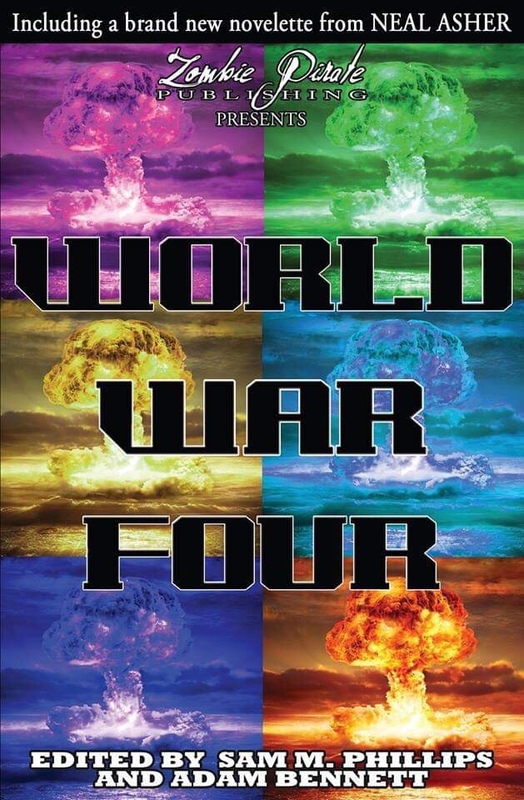 I’ve been working out the plot, the characters, and the twists. As I was confident that I was nearing completion, I was starting to get a little excited to share it with you all, and maybe even a little proud of myself. I’ve always wanted to give writing a shot, and since the beginning of this year I have started taking baby steps. I don’t know what I’m doing, but I’m excited about the possibilities. At the same time, that lack of knowledge and experience is easy to spot from a mile away. My excitement got the better of me, and I set up this site. I have already quietly linked to it on several other pages across the internet. At the same time, without having any substantial content, I have been hesitant to advertise about it. What good is a site for my short-stories before there are any short-stories? So I’ve (im)patiently waited, and the time was near. Almost imminent I thought. Then I sent out my first preliminary draft the other day to get some feedback. I got a lot of really good suggestions, and I was excited to hear what somebody else thought of my creation. It was great. Then reality sank in. I have got a TON of work to do still. The thought has been a little disheartening, I won’t lie to you, but I didn’t expect my first draft to be perfect. I’m thankful for the encouragement I’ve received and the advice that was given. I’m anxious to use that feedback to improve this story and make it something worth reading. My rather simple, easy-way-out solution? Tell you about the delay. It keeps the site from going unused, and lets you all know about my progress. I still hope to have a finished product in the very-near-future. But for that to happen, I’ve gotta get back to work!